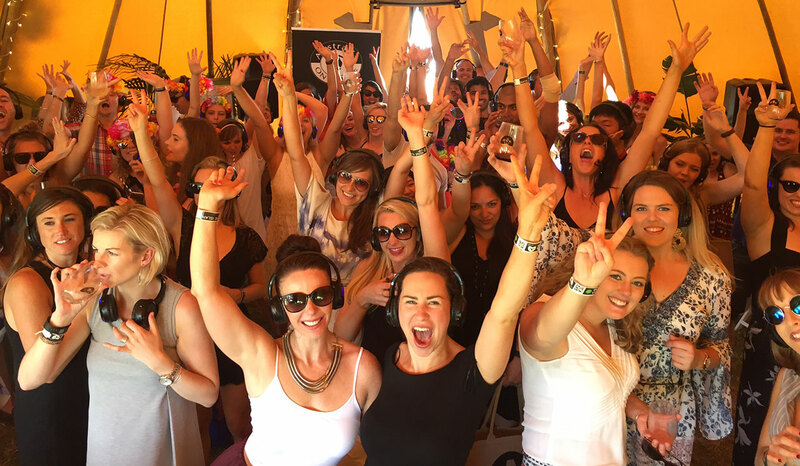 The sun was out, the wine was flowing and the party vibe was contagious at this year’s Wine Island as we took over the teepee to host an exciting programme of fun and flavour-filled masterclasses. 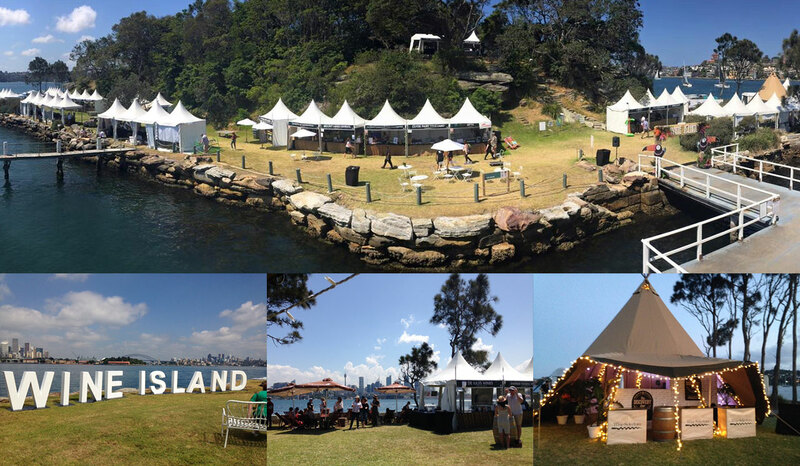 Now in its second year, the four-day event was held in November on Sydney Harbour’s Clark Island. With two sessions each day, 35 wineries to choose from and wine masterclasses by us, it was a wine experience like no other. Tasting Panelists Adam Walls and Nicole Gow, along with our Field Sales Manager David Kelly, had a fantastic time hosting our masterclasses with the Bubbles Off, New-wave Wines, Silent Disco Drops, Dessert Island and Cheese and Wine Matching sessions in the central teepee all a sell-out. After such a successful event we’ll definitely be back next year as event partners, so if you didn’t get to Wine Island this year, we suggest you mark it on your calendar as a 2017 must-do. See you there! Lastly we tasted Euphonium, dedicated to the Henschke Family Brass Band that was a favourite pastime of the early German-Silesian settlers in the Barossa from the 1840s. 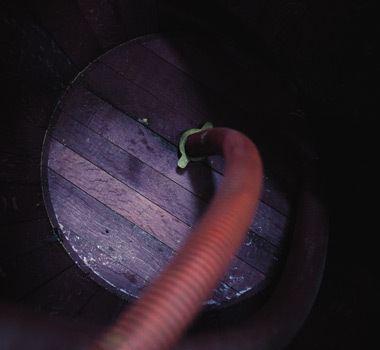 Keyneton Euphonium (formerly Keyneton Estate) is a Shiraz, Cabernet Sauvignon, Merlot and Cabernet Franc blend with each year delivering varying percentages. The wine is intense, rich and complex, displaying classic old world Hermitage characteristics: star anise, pepper, tar, dark berry, cigar box and sweet cassis aromas that make way to a concentrated but smooth palate of fleshy blackberries, mulberries and silky soft tannins. We all loved the 2002 Euphonium for its aged elegance, Justine favoured the 2009 for its savoury fruit construction, while Stephen loved the 2013 for its fruit-driven palate and fresh balance. 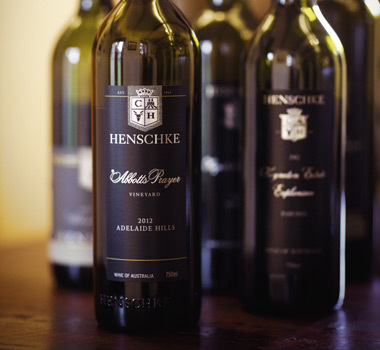 Family Reflections It’s gratifying to know that each Henschke wine contains a part of their family story and each year they celebrate their history by turning soil, grape and sunlight into something delicious that can be shared and cherished. It’s even more gratifying that the wines are as great as the stories. Stephen fittingly and simply put the Henschke mantra into perspective. “Our whole philosophy is about being better not bigger. It’s about the quality, our amazing resources of old vineyards and making the most of our beautiful fruit and turning it into something really special.” Long may the stories continue. 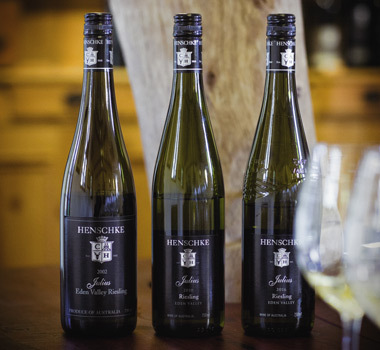 The Wines of the Tasting Henschke Julius Riesling 2016 A pure Eden Valley Riesling with power and finesse. Fresh and delicate lime blossom and kaffir lime aromatics lead to a mouth-watering palate of minerals, green apples and limes. A definite keeper. Henschke Keyneton Euphonium cabernet Blend 2013 An attractive, regal wine with complex aromatics of spice, plums, mulberries and blackberries. The palate is fine yet powerful with velvety, spicy layers of plums, blackberries and mocha. Henschke Louis Semillon 2014 A complex, well-structured Semillon with good cellaring potential. Fleshy, open aromatics of fresh and baked apples, preserved lemons and marzipan with a palate full of sugar snap peas, lemons and lime juice. Pinot Gris vs Grigio: What’s the difference? 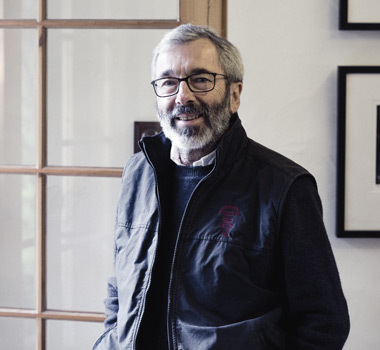 Another standout Aussie Pinot G producer is Wicks Estate in the Adelaide Hills , where, Tim Wicks, explains, "The cool evenings promote great acid retention in the fruit, along with a gradual flavour ripeness without excess phenolic development. This allows the variety to retain a charming aromatic lift which combines beautifully with the subtle textural elements." 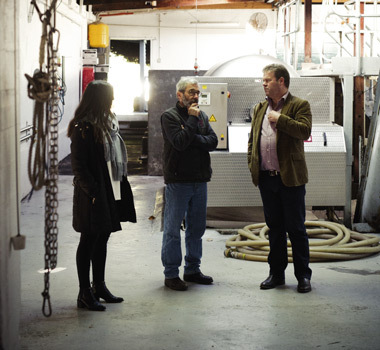 At Wicks Estate, they make a Gris rather than a Grigio, but as Tim describes, it may be akin to the Gris style, but it maintains a hint of the Grigio aromatics and racier acid lines. This is reflective of the Gris-Grigio overlap that Tim sees as common in Australia. 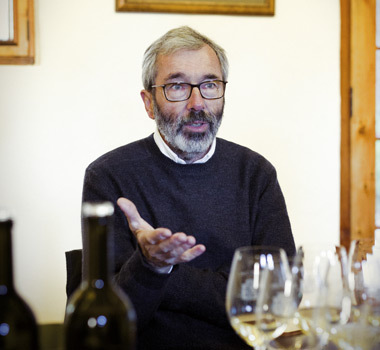 "We have countless fantastic wines that tend towards either the richer Gris characters or lighter aromatic Grigio characteristics. There are also wines that exhibit traits of both, take our Wicks Estate Pinot Gris , for example. We like the sharpened focus and aromatic style of the Grigio, but tend to lean towards the textural qualities of Gris on the palate. The styles have their own identity, however, we have diverse terroir and climate in Australia that can lend itself to a hybrid style." THE PROOF IS IN THE TASTING At the end of the day, whether you go for a richer Gris or a zestier Grigio , or a mix of both, only your palate can decide. 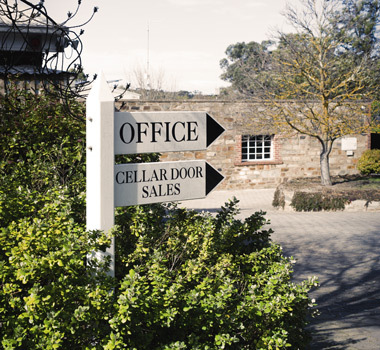 To help you choose, we've got an extensive range from the Mornington Peninsula, Adelaide Hills and beyond to explore .